The latest report on smart metering installs during the final quarter of 2017 has been published. This report includes information and statistics on smart meter installation in domestic properties and small non-domestic sites in Great Britain. What are the key findings of the report? 91% of smart meters installed in domestic properties: To date, over 11 million smart and advanced meters have been installed in homes and businesses across Great Britain by both large and small energy suppliers – over 10 million were installed in domestic properties and a further one million in smaller non-domestic sites. 12% increase in domestic smart meter installations: A total of 1,317,9004 domestic smart meters have been installed by large energy suppliers in the fourth quarter of 2017 (576,300 gas and 741,500 electricity meters). This represents a twelve per cent increase in domestic smart meter installations compared to the previous quarter. 7% increase in non-domestic and advanced smart meter installations: Over the same period, 16,800 smart and advanced meters were installed in smaller non-domestic sites by large energy suppliers (of which 10,200 were advanced meters and the rest smart meters). This is a seven per cent increase in non-domestic smart and advanced installations compared to the previous quarter. Small energy suppliers report installing a total of 161,100 domestic smart meters and a further 88,100 smart and advanced meters in smaller non-domestic sites during the calendar year 2017. How can I get become a Smart Meter Installer? Gas and Electrical Smart Meters have been set to become a fixture in most UK homes, with 50 million domestic properties due to have a Smart Meter installed by 2020. This has created a demand for Smart Meter Installers and continues to create jobs. If you are interested in becoming a Smart Meter Installer, you need to get yourself involved with the energy providers and other companies in charge of the Smart Meter roll-out, with Smart Meter training essential. Logic4training has been recognised as a Platinum Provider for its Smart Meter courses, the highest level available under Energy & Utility Skills. 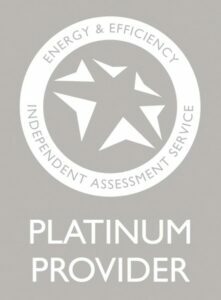 We are the only private provider to achieve this status, sitting alongside the six big utility companies to deliver of some of the best Smart Meter installer training in the country. We deliver our industry-leading smart meter programme from our Northolt, Basildon and Luton centres, covering gas, electrical and dual-fuel options. We currently deliver smart meter training for energy companies such as Lowri Beck, IMServ, EDF Energy, and Ganymede.